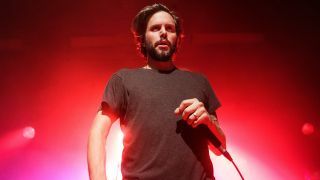 Between The Buried And Me have announced that they’ll launch their new album titled Automata later this year. It’ll be split into two releases, with Automata Part I arriving on March 9 and Automata Part II scheduled for release in the summer, with a final date still to be revealed. Both will be released via Sumerian Records. BTBAM frontman Tommy Rogers says of the follow-up to 2015’s Coma Ecliptic: “Every single week music comes and goes. We can get music instantly and with this luxury, the listener has a hard time sitting down with albums and exploring their every twist and turn. “Because of this, we have decided to release our new album in two parts. “Our music is dense and our albums are very long, so we want to give people two separate moments to dive in this year and explore new music that we’ve put our entire being into. In addition, the band have teased a video for new track Condemned To The Gallows which can be seen below. The full version will be revealed tomorrow (Friday, January 19). Between The Buried And Me have also announced a US tour with Leprous and The Dear Hunter. Find the full list of tour dates below, along with the Automata Part I cover art and tracklist.